Google is rewriting its policies on workplace sexual harassment following a staff walkout over its perceived failings to tackle abuses. Last week, Google employees at offices around the world staged a walkout over the treatment of women at the company after sexual misconduct claims were made against several senior figures. In a letter sent to all employees, the company’s chief executive Sundar Pichai said Google was updating its rules, including introducing a drinking limit for staff. “Harassment is never acceptable and alcohol is never an excuse,” Mr Pichai wrote. In an attempt to address a key criticism of how the company failed to adequately deal with sexual assault claims when made against senior management, the CEO said Google will make arbitration optional for individual sexual harassment and sexual assault claims. “Google has never required confidentiality in the arbitration process and arbitration still may be the best path for a number of reasons (e.g. personal privacy) but, we recognise that choice should be up to you,” Mr Pichai wrote. Staff will also face performance review penalties if they fail to complete sexual harassment training. 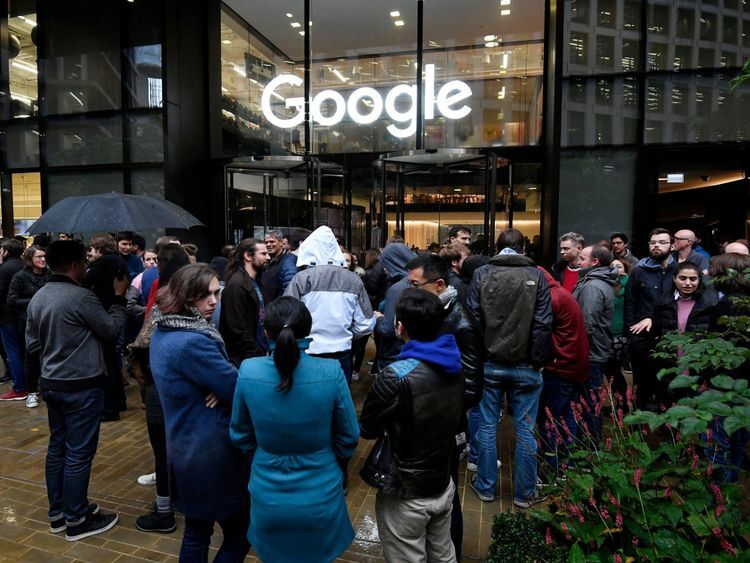 Google workers left their offices in Tokyo, Singapore, Zurich, London, Berlin and Dublin during the walkouts last week. At the technology giant’s London office near King’s Cross station, a crowd of around 100 workers congregated outside. “I’m here protesting against harassment in the workplace to make sure we don’t protect or support those perpetrators of harassment,” one protester told Sky News. He added that Google’s workforce had been shocked by a New York Times report on sexual assault allegations surrounding high-profile workers at the tech firm.